The sample labeled "Arpeggiated" was performed / produced by Vinnie Zummo using a Steinberger Transcale. The remaining 5 samples were performed / produced by Andy Rothstein. 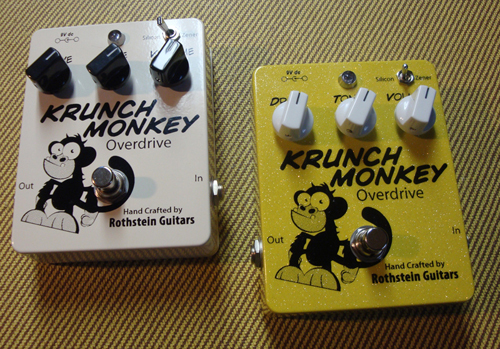 "At any given time there are a plethora of new distortion, fuzz and overdrive pedals on the market. Most are variations on one classic sound or another. Once in a while one comes along that has a distinct voice of it's own. That would be the Krunch Monkey. The KM is rich in both character and versatility and it allows you to mold the sound you hear in your head. A sound rich with meaty mids, throaty harmonic content, and expressiveness. I recently used it for tracking a song on my new album and I dialed a great Beatley arepggiated sound in in about 10 seconds. U plug it in and it sounds great. What more could you want from a piece of gear?" "I really like the Krunch Monkey! I've dialed it in to a sort of fuzz/crunch combo. I'm playing with it through a Matchless spitfire and it really sounds great. Thanks for the great products. 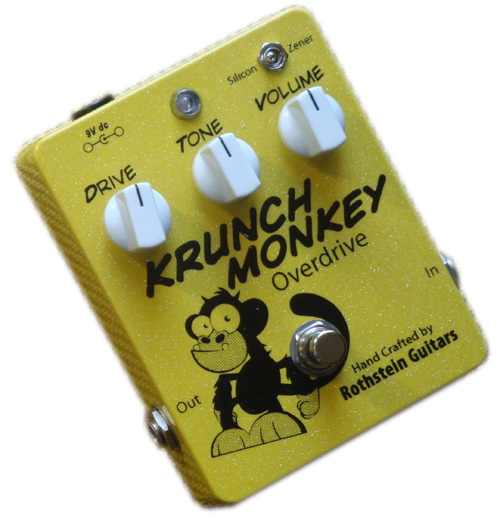 I also have one of your passive midrange pots in my strat and love it too "
"I have played many overdrive pedals and the Krunch Monkey stands out for several reasons. For starters, it has a nice gritty tone that sounds amazing with my Tele, especially in silicon mode. Secondly, flipping between diode modes gives me great tonal options. Lastly, it is dead quiet – no hum or buzz . 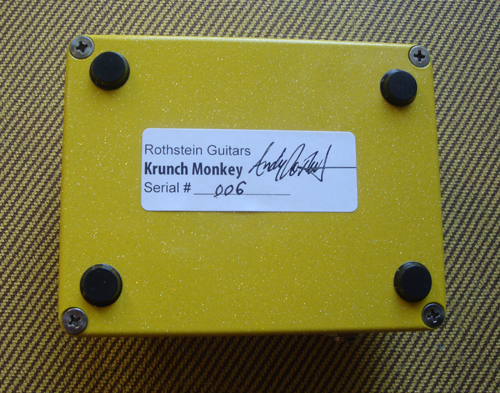 The Krunch Monkey is definitely a keeper!" 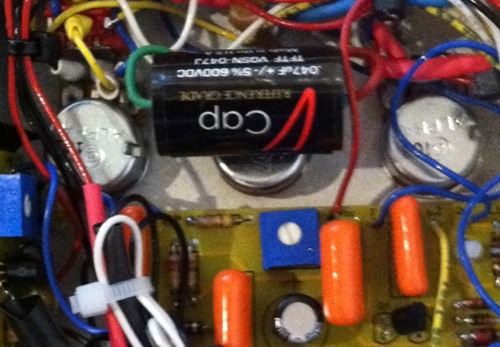 Note the use of only the top quality, full-sized components. 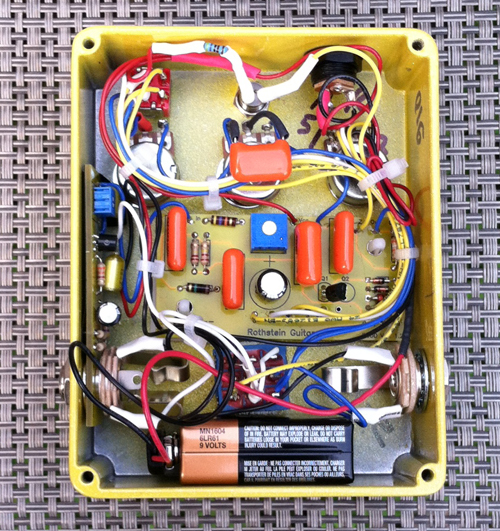 By special request we are now offering an option to upgrade the capacitor on the tone control to a V-Cap TFTF Teflon® film and tin foil audiophile capacitor - contact us for availability.